This was a perfectly reasonable request which President Trump was open to but our crooked establishment couldn't allow it to go forward. Donald Trump has turned down Vladimir Putin's proposal to allow Russian investigators interview Americans suspected of crimes, but still expects 12 Russians blamed of election meddling to arrive in the US, the White House said. "It is a proposal that was made in sincerity by President Putin, but President Trump disagrees with it. Hopefully President Putin will have the 12 identified Russians come to the United States to prove their innocence or guilt, " Sarah Sanders, White House spokeswoman, said in a statement. On Thursday, the Senate approved the resolution, proposed by Minority Leader Chuck Schumer (D-New York) expressing the sense that the �United States should refuse to make available any current or former diplomat, civil servant, political appointee, law enforcement official or member of the Armed Forces of the United States for questioning by the government or Vladimir Putin." Following the summit with Trump in Finland�s capital in Helsinki earlier this week, the Russian President said Moscow may consider allowing the US Justice Department investigators to question the Russian citizens, who were charged with meddling in the US election in 2016. However, Putin specified that such interaction may only take place if the Washington greenlights Moscow to interrogate American citizens, who are suspected of committing crimes in Russia. The list of those wanted by the Russian law enforces includes US ambassador to the country, Michael McFaul, and financier, Bill Browder, according to Russia�s Prosecutor Generals� Office. The treaty between Moscow and Washington, signed in the 1990-ies and allowing the interrogation of the suspects from the other country, was brought up by Putin during the media conference in Helsinki. Bill Browder has been all over TV shilling against this deal. Note, even though Fox News incorrectly refers to Browder as a "US businessman" he renounced his US citizenship ages ago. Many believe he did so to avoid taxes. He himself said he did it because of the way America treated his Bolshevik grandfather who was the head of the Communist Party USA. You renounced your American citizenship in the �90s and moved to London. Tell me about that decision? My grandfather was an American Communist, and he married my grandmother, who was a Russian Communist. During the 1950s, the McCarthy era, my family was viciously persecuted. [When] my grandmother was dying of cancer�the U.S....wanted to deport her back to Russia. It just left a legacy of bad feeling about the rule of law. Things can swing wildly in the wrong direction from time to time. And in a certain way, we�re sort of seeing that right now. I finally got to see Andrei Nekrasov's The Magnitsky Act: Behind the Scenes last night and do research into the subject and I've come to the conclusion the passage of the Magnitsky Act was one of the biggest frauds ever perpetrated. The Magnitsky Act, which laid the groundwork for a host of anti-Russian sanctions, was pushed by Sen. John McCain and Sen. Ben Cardin after Browder sold it with tall tales to congress back in 2012. It was passed 92-4 in the Senate and 365�43 in the House. The act was named after tax accountant Sergei Magnitsky, who Browder claims was his "lawyer" who died in prison after supposedly being beaten to death for going to police to expose police involvement in a $230 million tax fraud scheme. 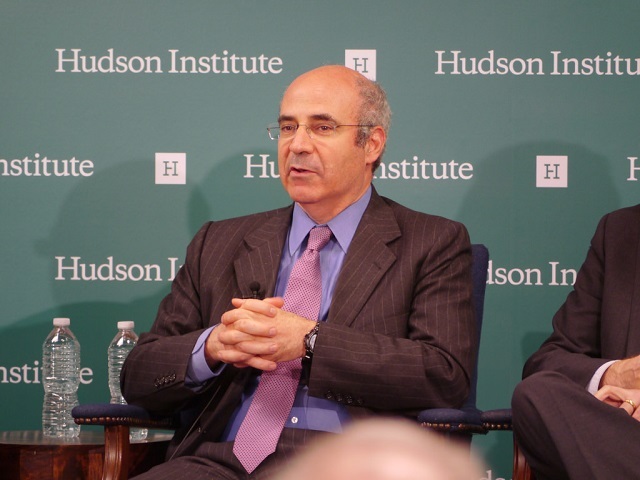 The counter-narrative is Magnitsky was Browder's accountant and was essentially thrown under the bus by Browder after helping him commit tax fraud and funnel billions out of Russia through creative means. The best summation of the counter-narrative, besides the movie itself, is this article from Unz. Browder's story falls apart under the most rudimentary investigation. For example, Browder has said hundreds of times that Magnitsky was his "lawyer," yet Magnitsky never got a law license, nor went to law school as you can see Browder admit in the deposition below. As Robert Parry notes, "Magnitsky's mother also has described her son as an accountant, although telling Nekrasov in the documentary 'he wasn't just an accountant; he was interested in lots of things.' In the film, the 'lawyer' claim is also disputed by a female co-worker who knew Magnitsky well. 'He wasn't a lawyer,' she said." Browder also claimed Magnitsky was beaten to death in prison by police with "rubber batons," but Magnitsky's own mother said she blames negligence on the part of prison doctors. Nekrasov noted how the injuries were consistent with being handcuffed. Nekrasov's film features a host of such stories which appear to fall apart under scrutiny. This story is hugely important as Browder is said to be the one man more responsible than any other for reigniting the Cold War. There needs to be a serious, independent investigation into all of his claims.